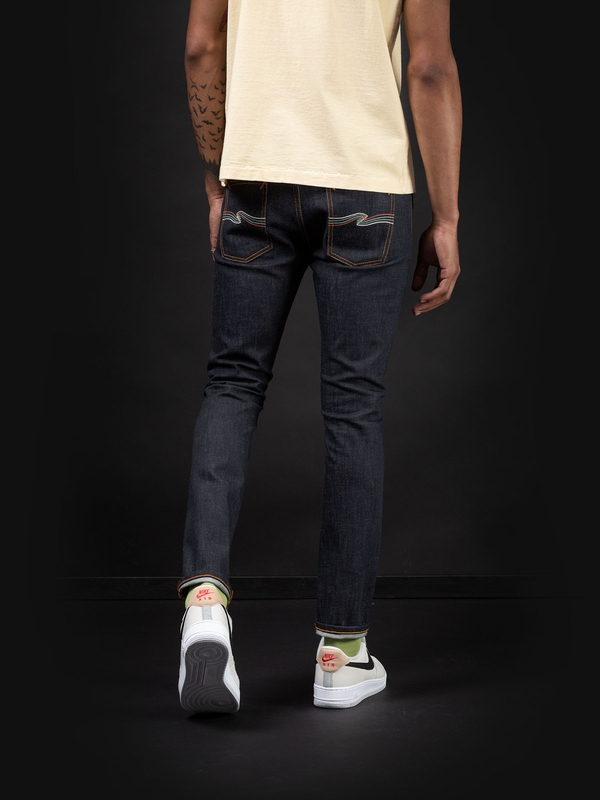 We are excited to present our first ever jeans with chain stitch back pocket embroidery. 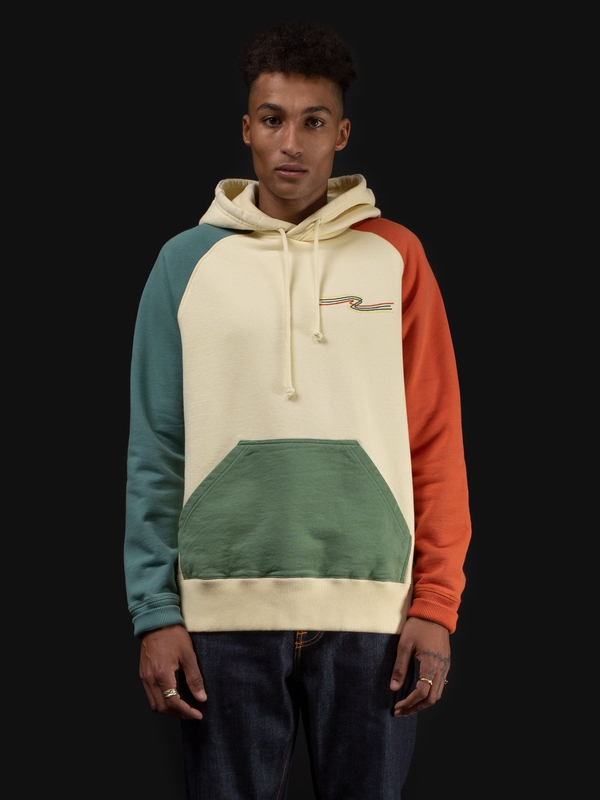 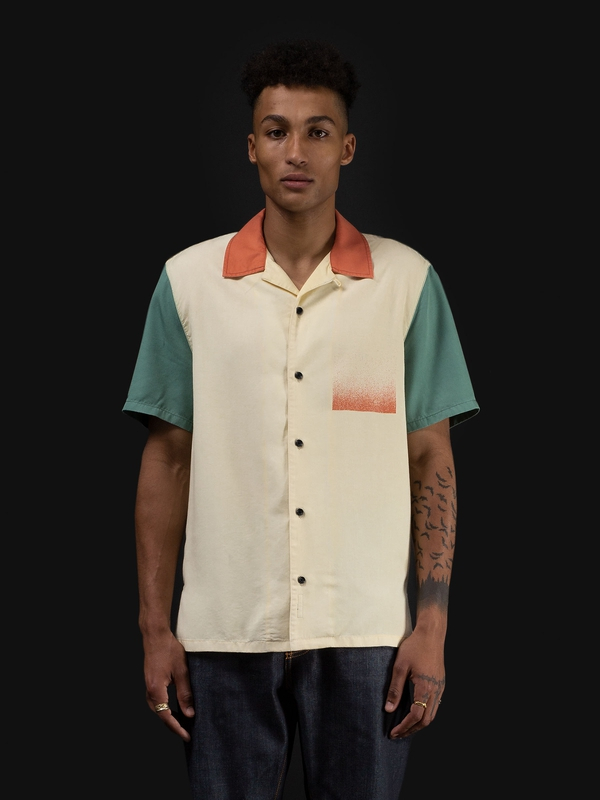 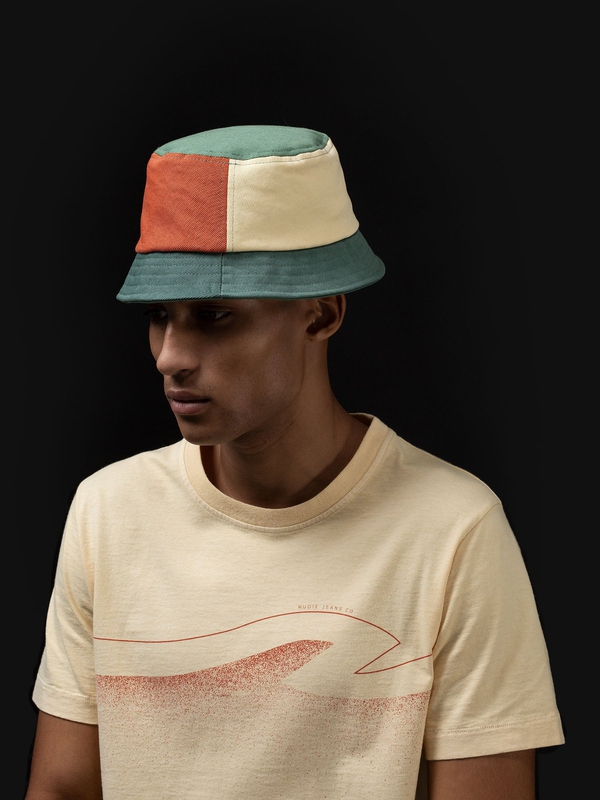 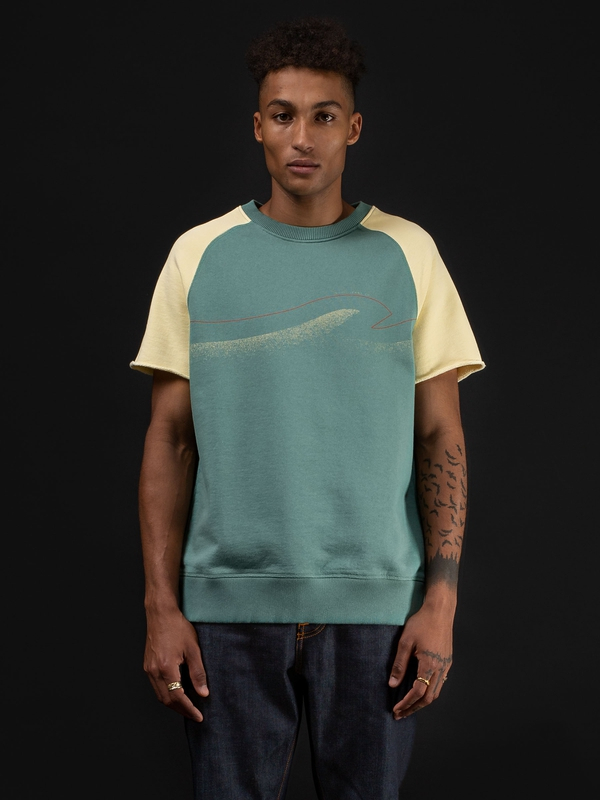 The embroidery has been sewn with 4 colors, reflecting the color theme of the capsule. 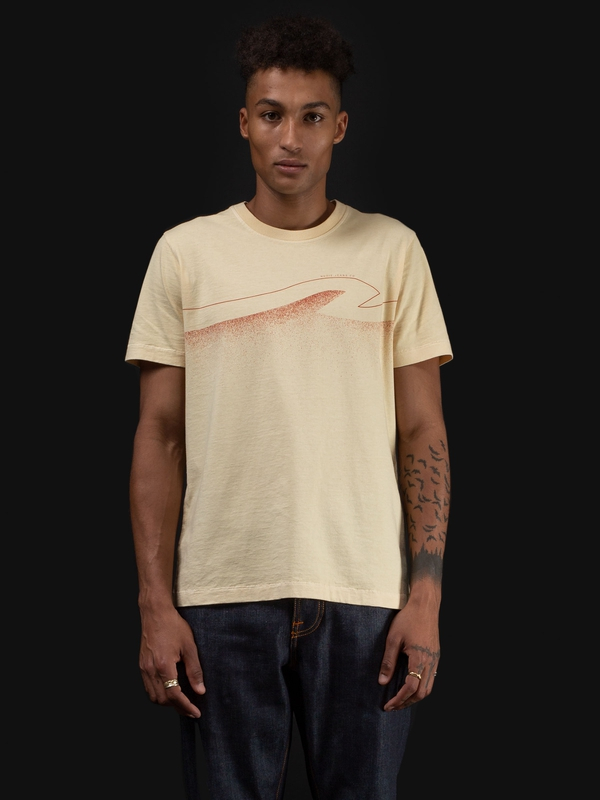 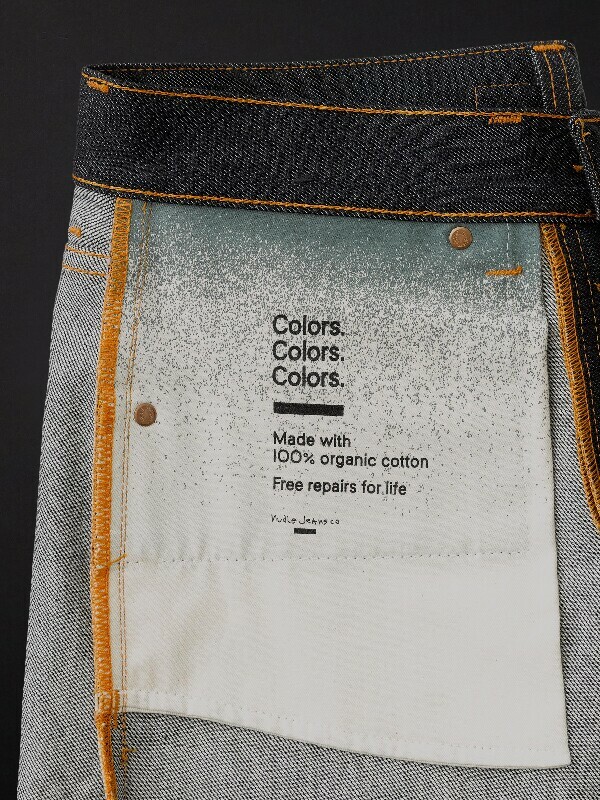 Both jacron patch and pocket bags has got a lil' extra attention in the form of a grainy gradient print, giving the jeans a splash of color on the outside as well as the inside. 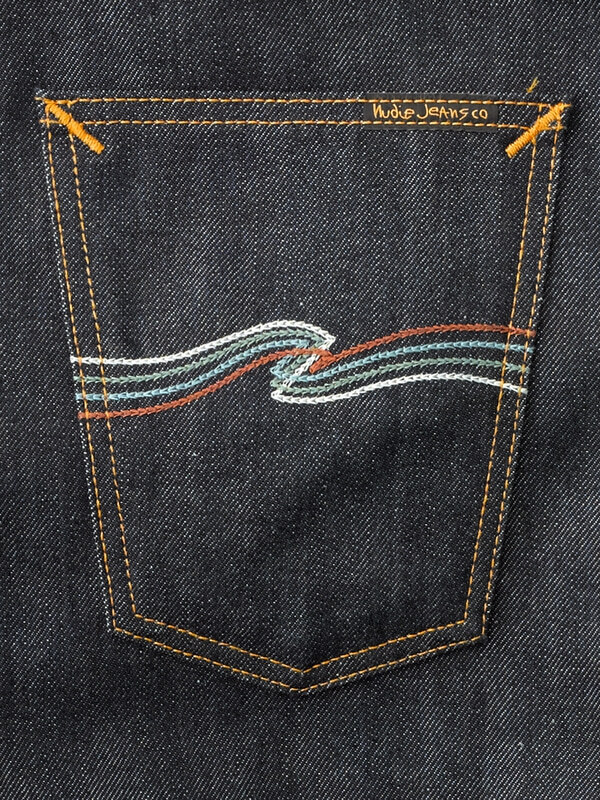 The denim used for Steady Eddie II Dry Colors is a beautiful 13 oz. 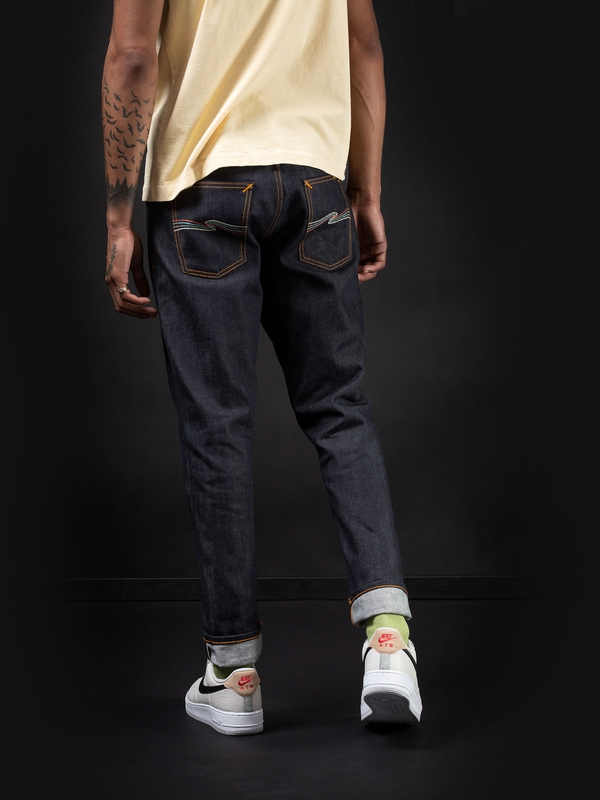 red cast selvage denim with clear twill lines and an open construction. 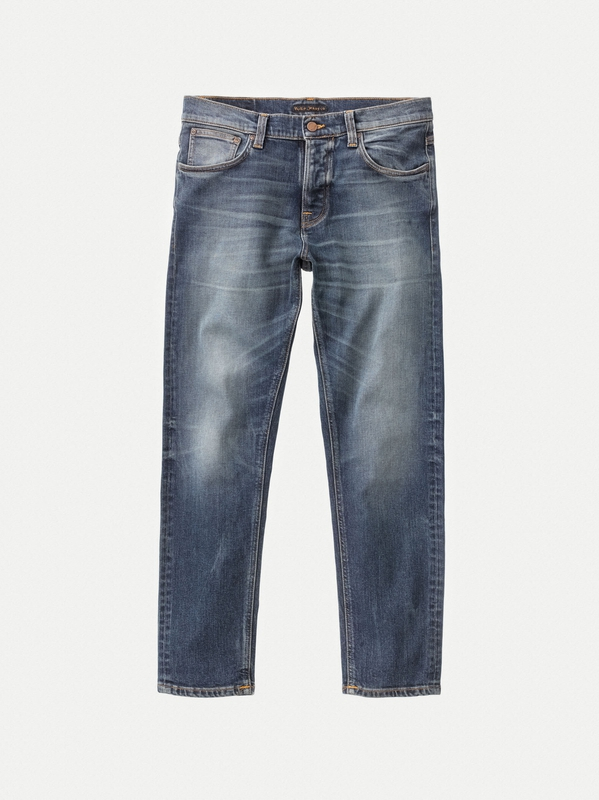 The yarns have been dip dyed 12 times in pure indigo giving the denim its red cast dark indigo tone. 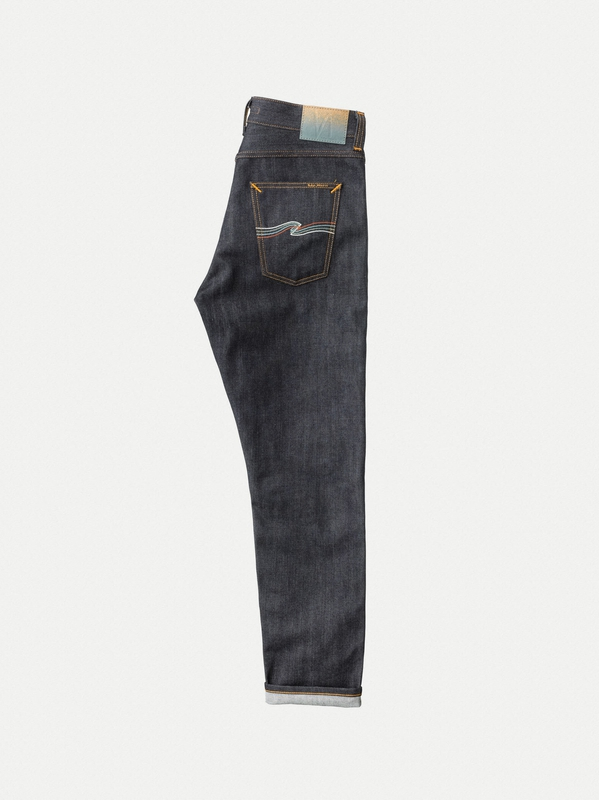 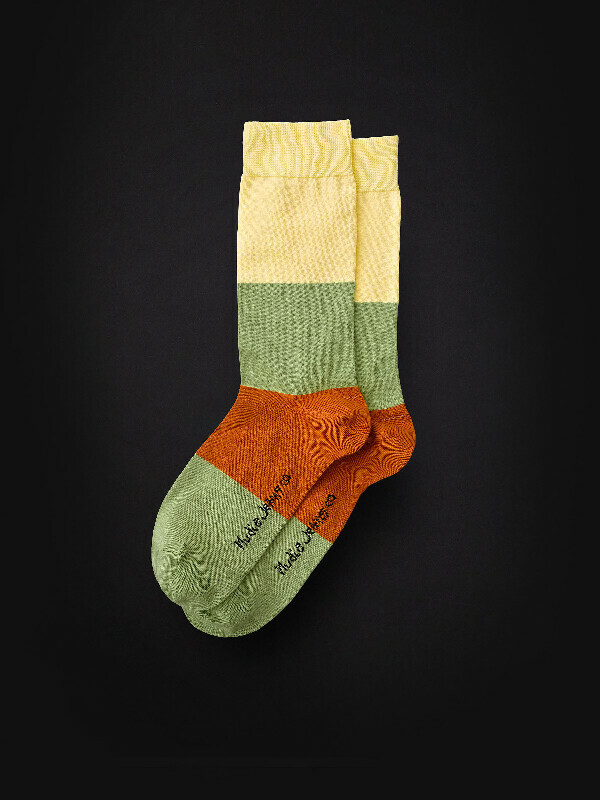 With wear, the slightly irregular yarns will give the jeans a bit of a grainy texture and a clear blue tone. 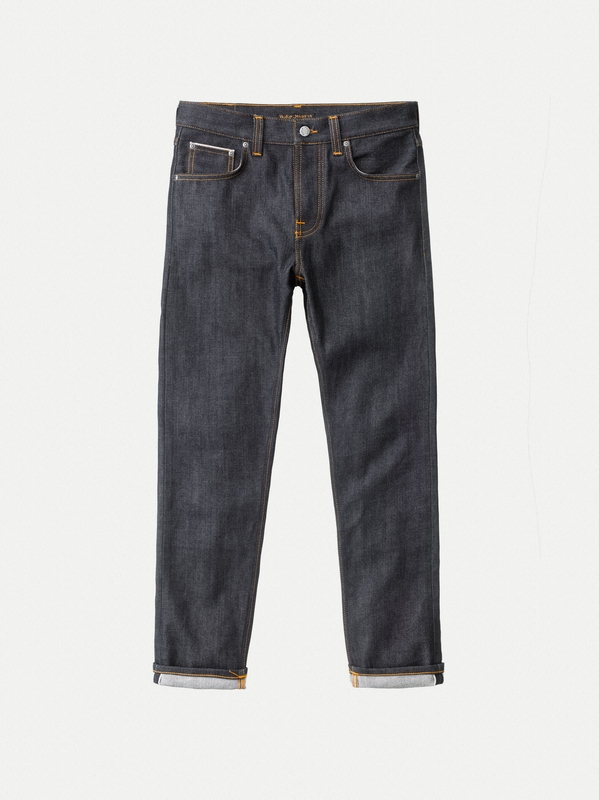 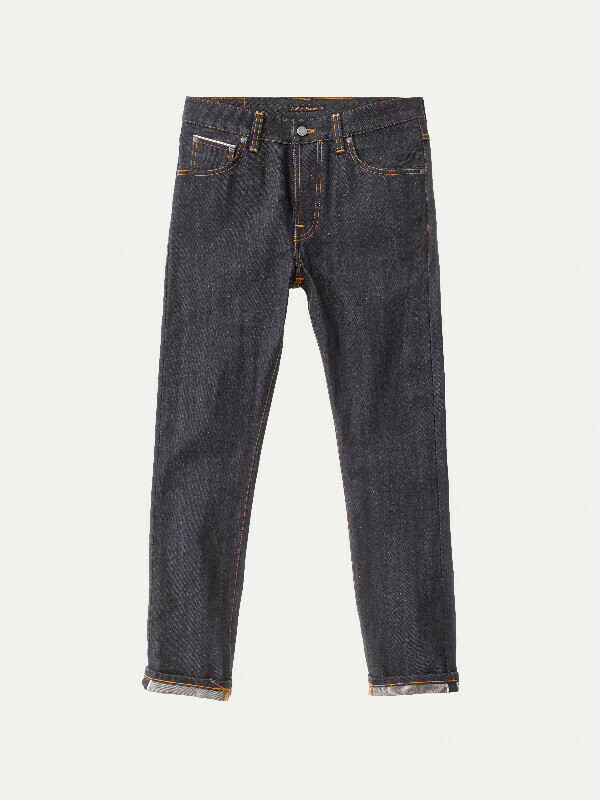 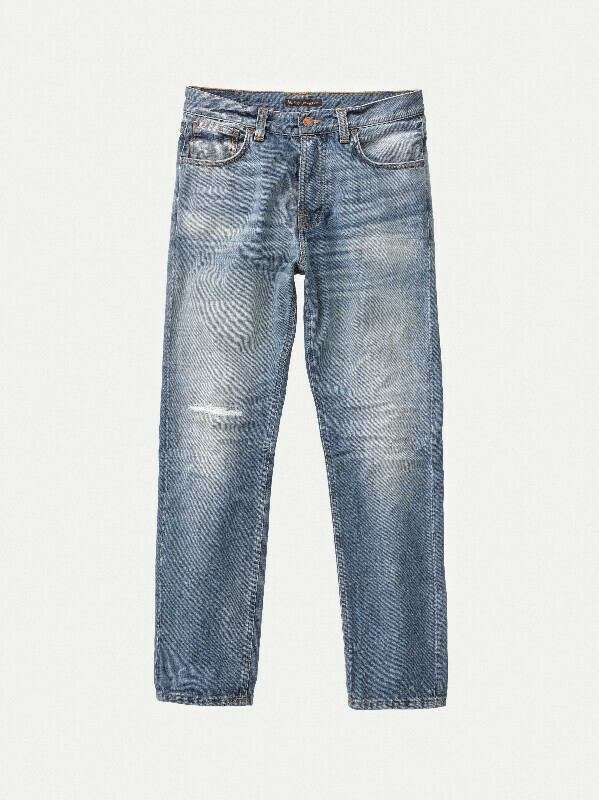 Regarding wear, we recommend using our dry denim jeans daily for at least 6 months before the first wash. 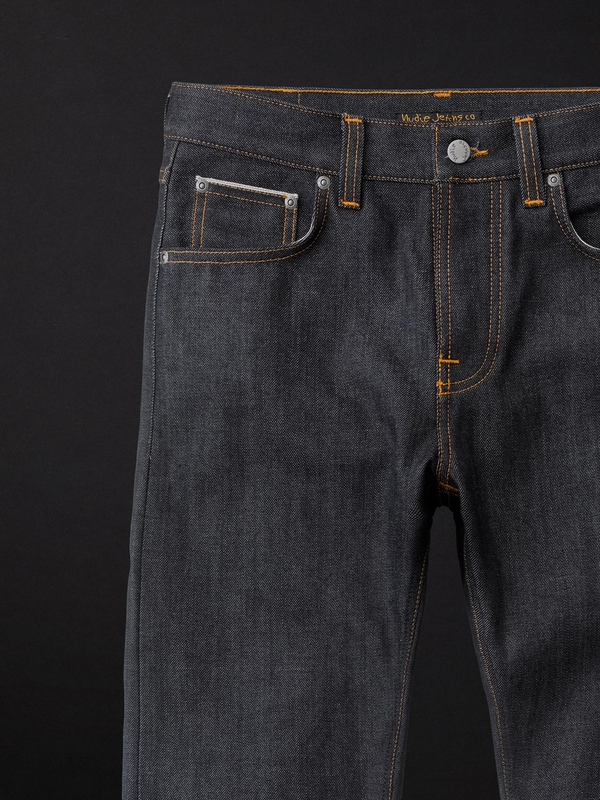 This will give the jeans a nice contrasting worn-in look. 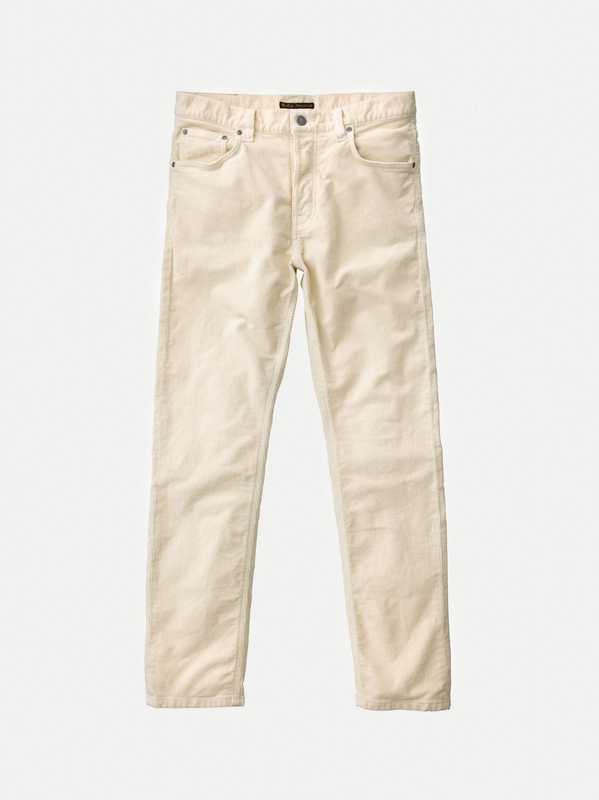 This is, of course, just a recommendation, washing earlier also render great results, just a bit less contrasting.